A wildfire burning Monday in the Big Sur area of California forced the evacuation of dozens of homes as it chewed through dry vegetation on its way toward the ocean. At least 15 homes were destroyed Monday morning, fire and county officials told NBC affiliate KSBW. One of the houses that burned belonged to Big Sur's fire chief. 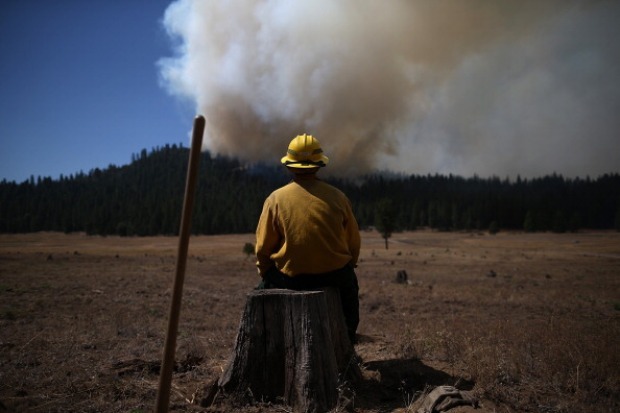 The fire burned 550 acres in the Pfeiffer Ridge area of Los Padres National Forest near Highway 1, officials said. It had not crossed the key coastal road, which remained open. Homes were scattered in the path of the fire that was being battled by 300 firefighters. Officials also brought in air tankers and helicopters. The wildfire, officially named the Pfeiffer Fire, was zero percent contained as of 4:40 p.m., the U.S. Forest Service told KSBW. Big Sur is a popular tourist destination along the Central California coast known for its views of the Pacific. 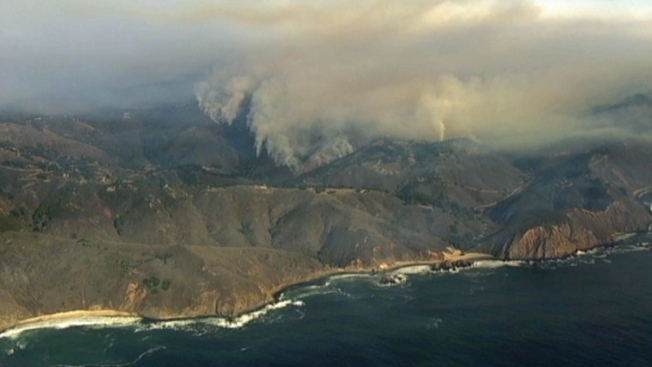 The last major fire in Big Sur happened in 2008, when a lightning-sparked wildfire burned 250 square miles and several homes.